Review: Vampire Werewolf Fairies - would you like True Blood? 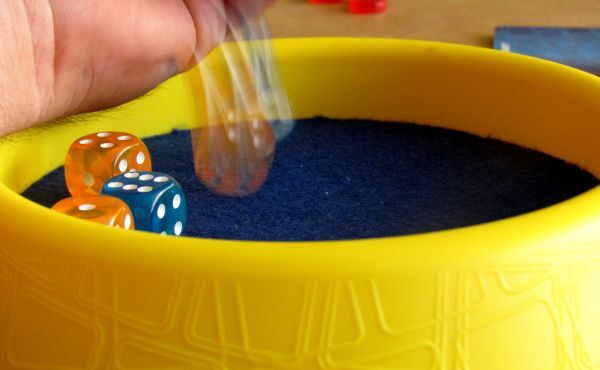 Dice are a source of entertainment, there is no doubt about that. And it does not just go on gambling. Just throw them a few times and rattle them in your hands and they will win you over with their familiar sound. Coincidence, luck, chance, everything will enchant you and you’ll only ever throw farther and farther with these six-sided magical objects. All this would have happened, if you would belong to some forgotten native tribe, who had never seen dice. The rest of us are civilized people. 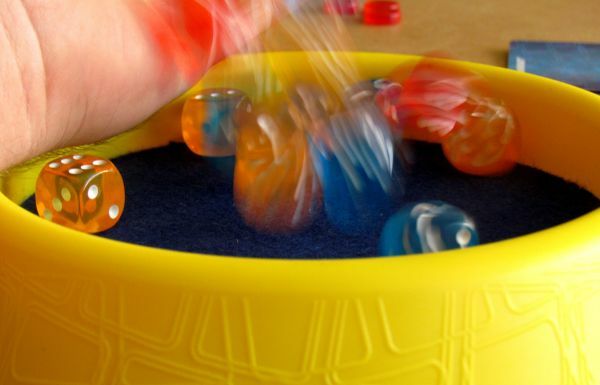 We know dice and know, that they can be a source of joy and also frustration, when you start to roll them. We have again confirmed this knowledge in the game called Take It or Leave It. 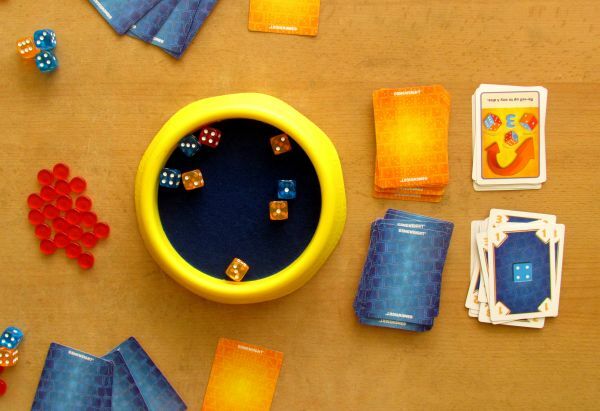 This game came from GameWright company and bets precisely on that dice magic. According to its name, you could easily think, that it belongs to a “push your luck” series, such as the Can’t Stop (review available only in Czech) or Catch the Mice (review available only in Czech). Original version was published in Germany by Schmidt Spiele with graphics made by Dennis Lohausen. But we have a moderner version for year 2012 in front of us. There are still signed Christoph Puhl and Arno Steinwender as authors, but graphics have changed. It was done by Mike Mandolese and made a very pretty picture for it. 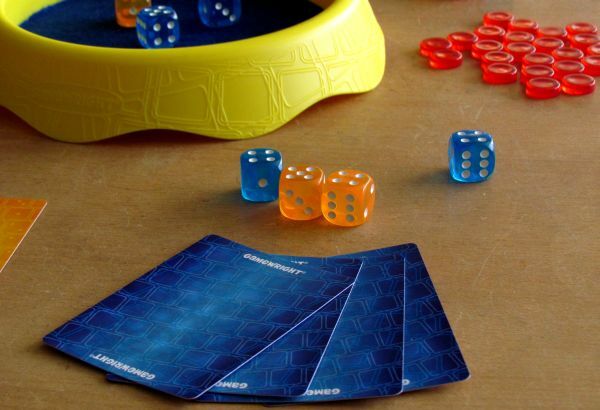 The box lid will not let you no place for doubt – this is most certainly a dice game. 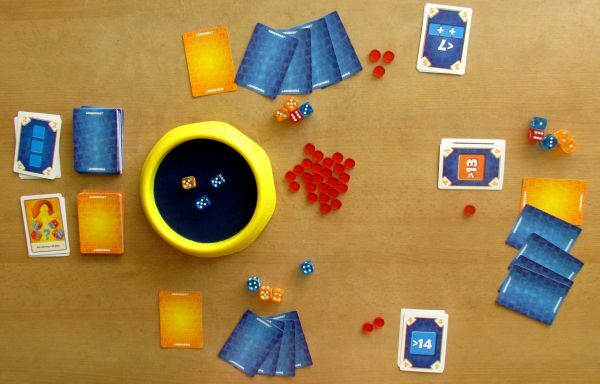 You can see a fancy name, several dice and hands of two players leaning over. In the lower left corner, you will find the game classification as a family game from eight years. 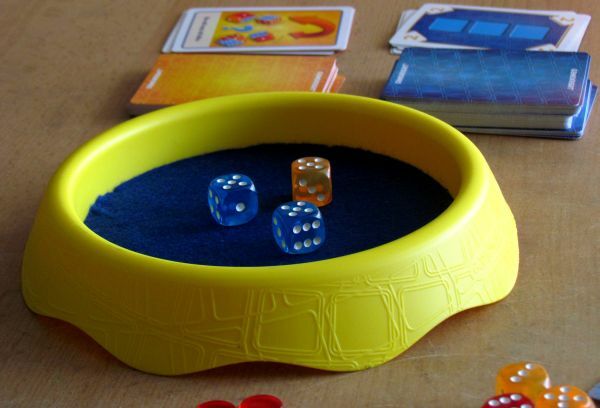 Once you decide to look under the lid, you will discover an especially large round bowl, which makes a room, where players will throw their dice each round. 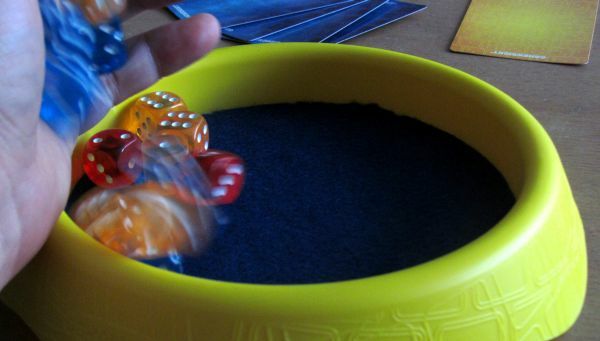 Thanks to it, you do not have to worry, that dice would fell off the table, when you roll them. It is especially good for playing with children. But although this is a nice groove component, it could not be played by itself. You need to have something more. 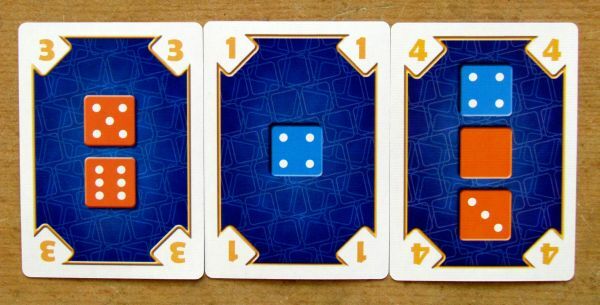 Therefore, two are dice lined up in two rows on the side of the box. There is twenty of them and they are available in three colors – orange, red and blue. Red dice represents jokers. Blue and orange are equal in numbers – there is nine of each color. Other components are hiding under the bowl. 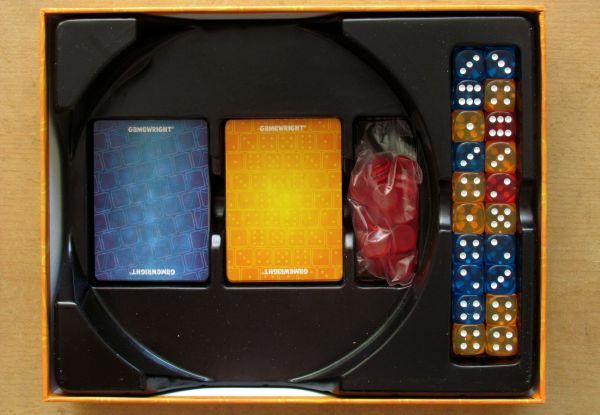 When you set it sideways next to the box, you can find two compartments – for two decks of cards and also for a bag with red round tokens. But their task is not to count victory points here. On the contrary, they indicate the penalty. There is quite favorable number of 110 cards and these can be divided according to their backs into yellow and blue ones. 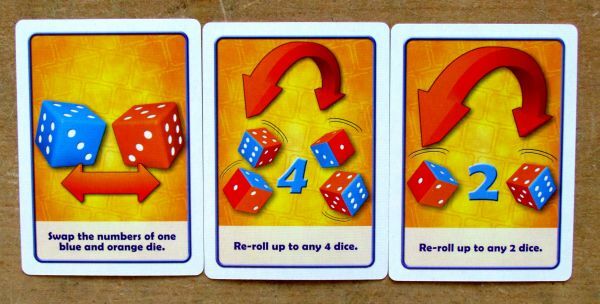 Yellow cards has some available actions with dice on them, while the blue ones just contain some dice and numbers. We will explain their meaning in a moment, after we complete list of components. The last thing needed, which is located inside the box, are English rules. Take It or Leave It is a simple game and rules correspond to this statement perfectly. They have plenty of pictures and only two pages. If anything should be unclear, you will find certainly answer to your question there. The game preparation is all about position of bowl midway between the players. 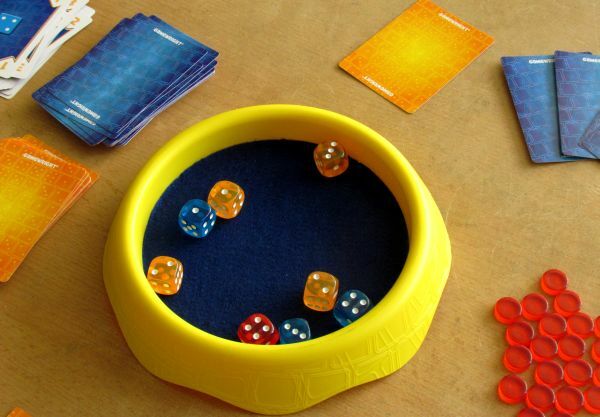 It has a plush surface, so you do not have to worry, that throwing dice will make noise. 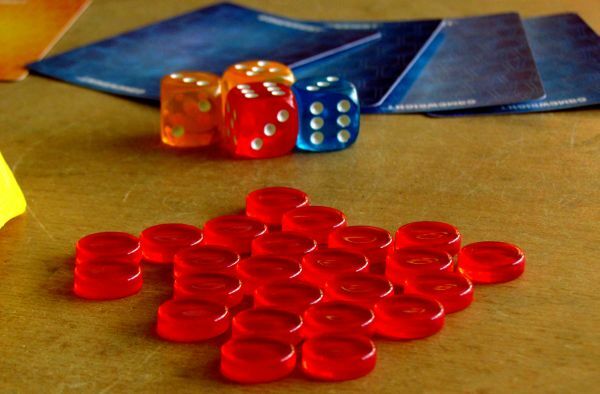 You select number of dice according to how many players are playing the game – seven, eight or nine from both of the two colors, and always two red dice on top of it. Then you must separately shuffle each deck of cards. 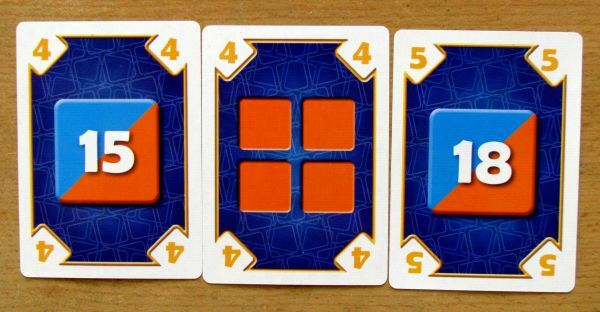 Each of your opponents will get four blue task cards and one yellow action. So do you, of course. Players will gain their secret missions with blue ones. They contain written number in the upper left corner, specifying how many victory points could player get for them at the end of the game, when completed. 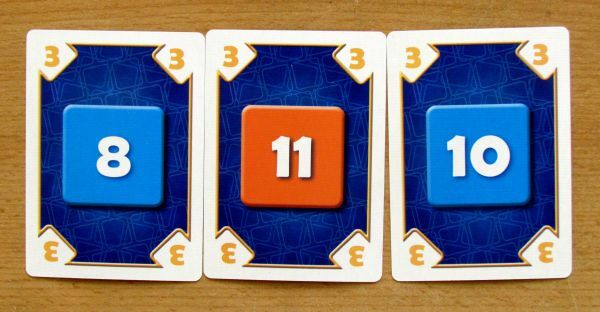 Task cards have printed some demands – dice value, color or number of several dice value combined. 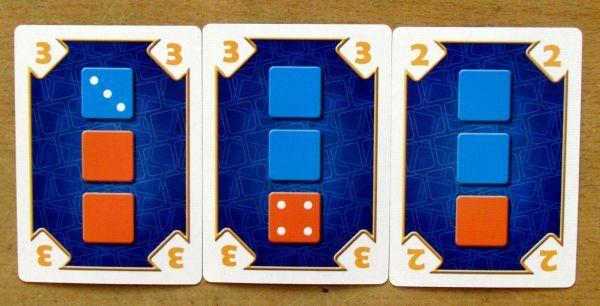 Players take dice from out of the common stock in the middle in a way, that you complete as many of these cards as possible. 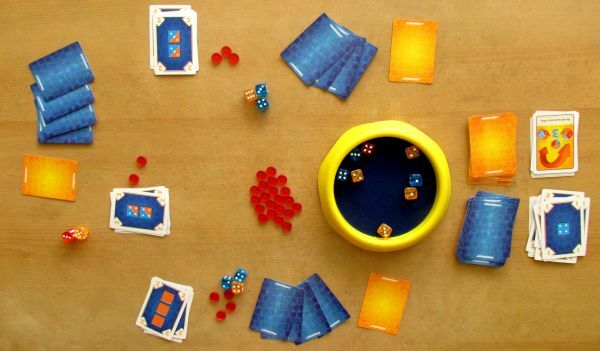 At the beginning of each round, one of players takes all the available dice and throw them into the tray. This is the offer for the current round for everybody. 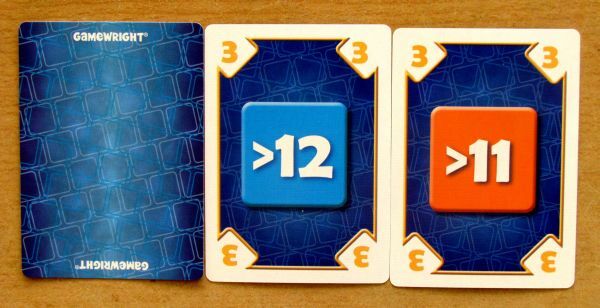 Players then take turns one after another. They can always take just one die to themselves, or use one action card they have in hand instead. 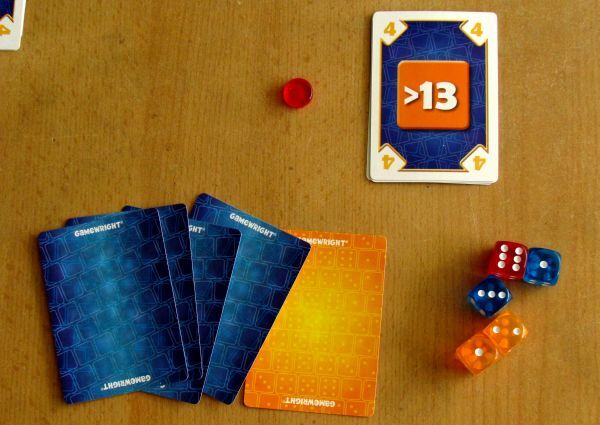 With its help, they can steal an opponent’s dice or try to change the outcome of some dice by rotating or re-rolling. 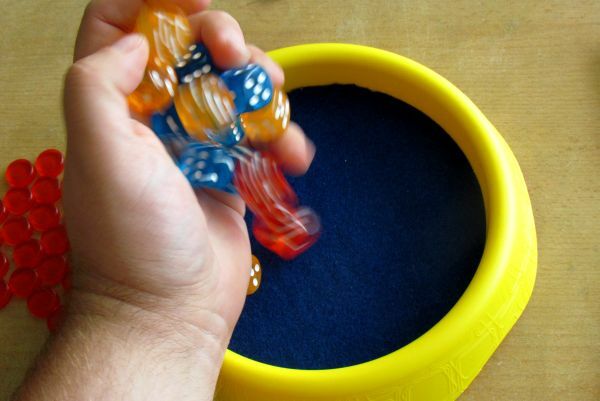 Players choose dice according to how they want to perform tasks on cards in their hands. Some cards tell them exactly, what dice of what color should they get. It can also specify a color or just the sum of several dice together, you should or should not exceed. It depends on the specific card. 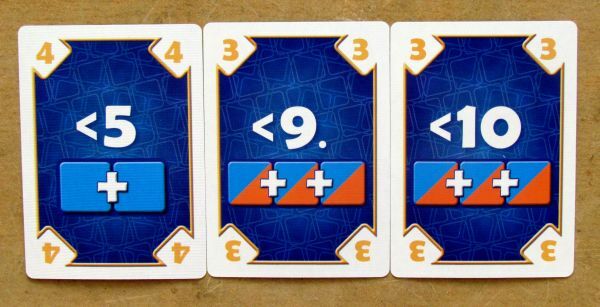 Difficulty corresponds to reward in point – the more complex combinations there is to obtain, the more points is the card worth. But players can only take one dice per turn, as we have told you earlier. So it means, you must choose wisely, which tasks do you want to try to meet. 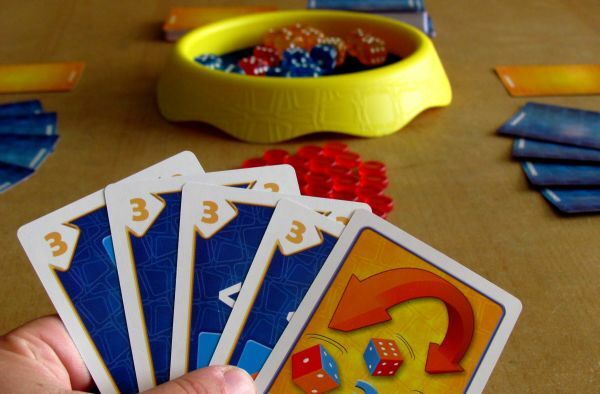 Rivals can easily steal dice you need and leave you empty handed. When nobody wants any more die, or there are no to take, the round ends and the players look, how successful they were. Each cube can be used only once to accomplish one goal. 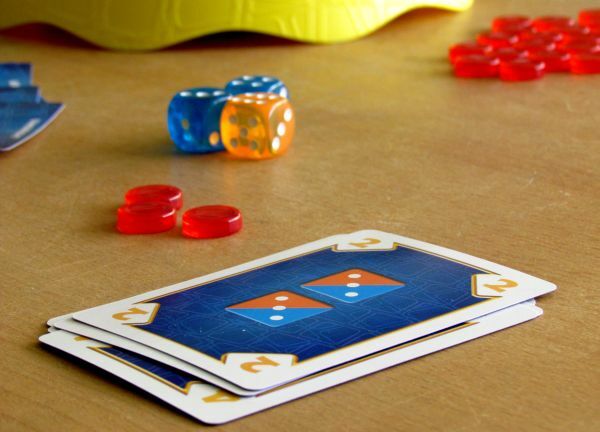 The best card is to lay cards down in front of you and attach dice to them. It is then clear at first glance, which tasks are completed, and which did not succeed. You keep completed cards and lay them aside. If there areany unused dice left in front of you, you get penalty tokens for them. You will lose victory points for each of them at the end of the game. 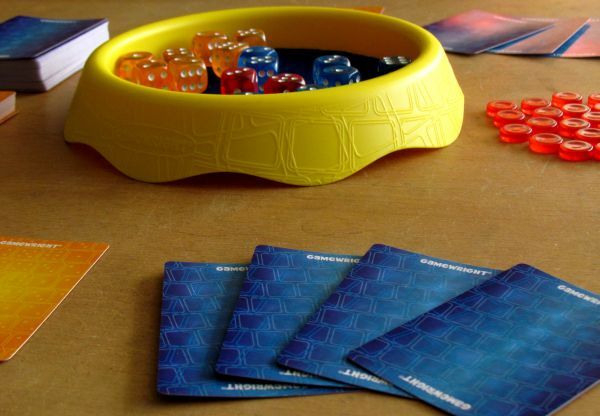 The game then proceeds with the next round. You can throw away one card with uncompleted task, but have to keep the rest. You then draw back up to four task cards and one action card. After a certain number of rounds, dependent on the number of players, the game ends and the players add up points. They deduct penalty tokens and the winner is the player with the highest point count. 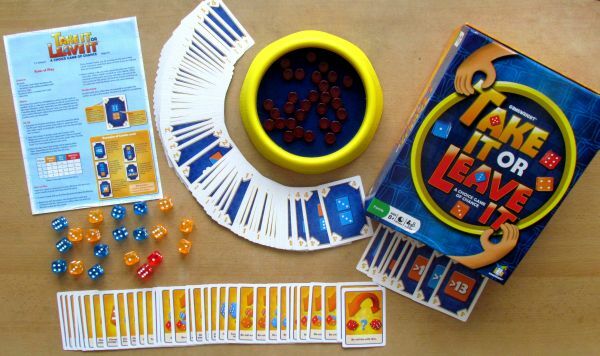 Take It or Leave It uses dice and cleverly combines the secret tasks on cards, which only you know. 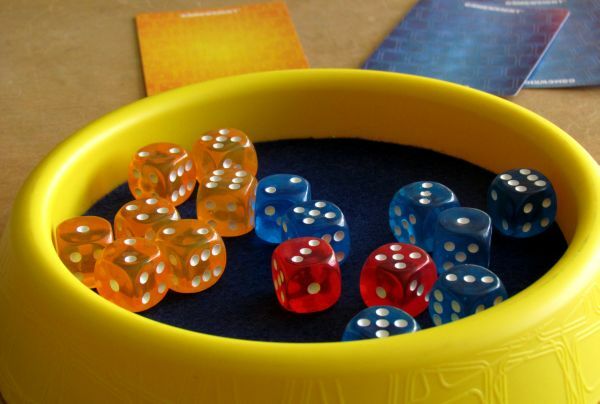 And because players actually do not roll dice, but they all have a common stock, game is not so much dependent on luck. Rather, it is really important to think and plan carefully. Chance is there, but it plays smaller role, than we would expect. Of course, you happen to get tough card choice into your hand from time to time. Then it may be essentially impossible to meet more of them. But you can still try to spoil the game for your rivals and harm opponents as much as you can by taking dice and changing results. Secret assignments guarantee a great atmosphere in the whole match. Cards have several kinds, with different degrees of difficulty. Yet altogether there is a lot of cards to maintain big variability with more cards of the same type, even if you play Take It or Leave It for the twentieth time. 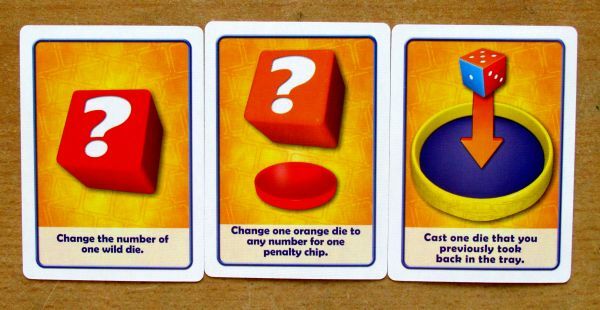 Action cards play a very important role here, because you can customize the dice with them. Sometimes it pays to hold action card up to the later stages of the round. 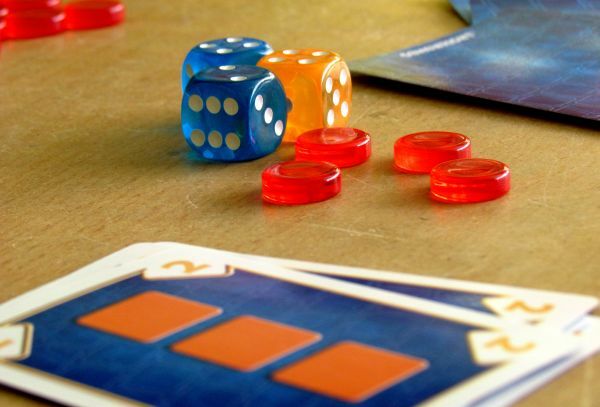 Sometimes it happens, that other players passed, because they are not interested in the remaining dice, because they would only bring penalty points to them. And in that moment, you can play action card and improve the dice, that you can get just for yourself. Most important for the whole game are right decisions. You have to take a good look at the results of dice throw and evaluate in advance, which tasks have you chance to meet easily. 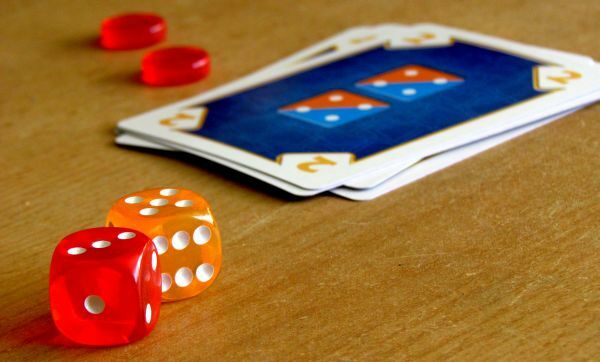 You also need to calculate the odds, that your opponents will want the same dice like you, so you need to have a backup plan in your pocket for each dice, that you take. Take it or Leave It is produced really nice. 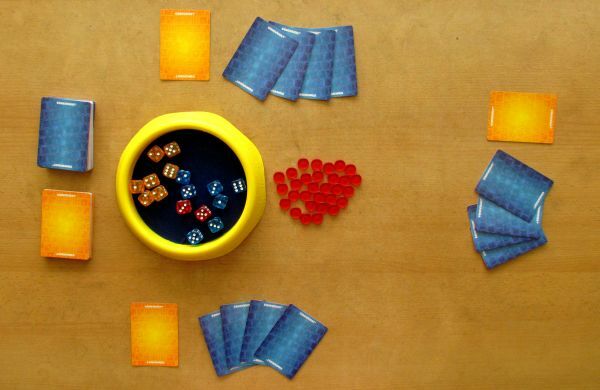 Dice are colored and transparent, with clear graphics cards and plush bowl, which holds in place. The only problem that remains, is that large amounts of dice needs big hands. Children must roll it multiple times. And believe us, it is children, who will be of great interest into this game. Likewise, they want each round throw dice. Take It or Leave It requires basic strategic thinking, but it contains no text. 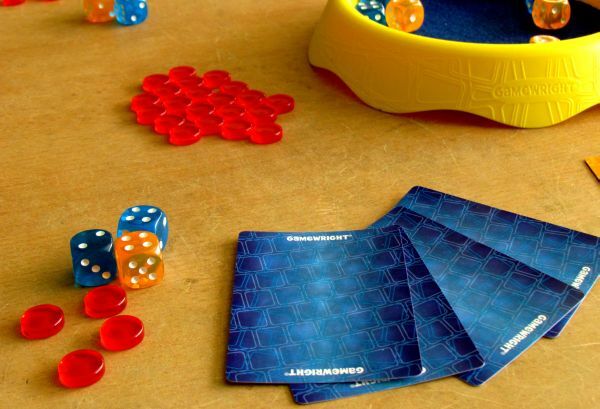 Children can easily play from age of eight and the game can be fun, like a lot of other games from Gamewright. 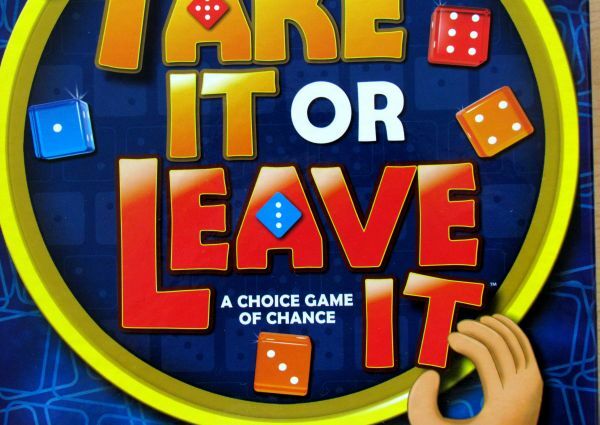 Take It or Leave It is a nice light game, which plays a little longer for a filler. But it is great for family environment. 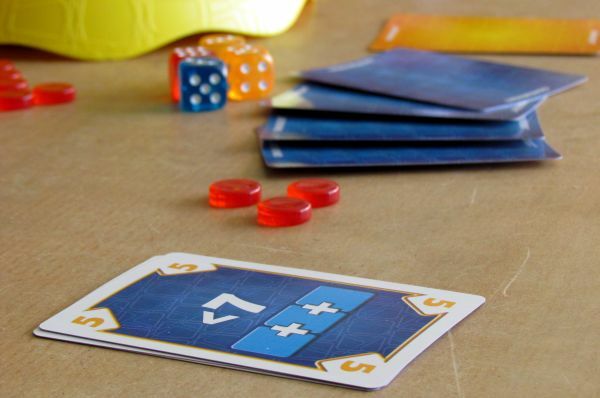 Every lover of dice games will be delighted, because coincidence here affects only the dice values and especially task cards in your hand. You have to know, how to work them and wade to prevail. So do not hesitate, because dice are waiting! Take It or Leave It is a game, where dice play the major role. 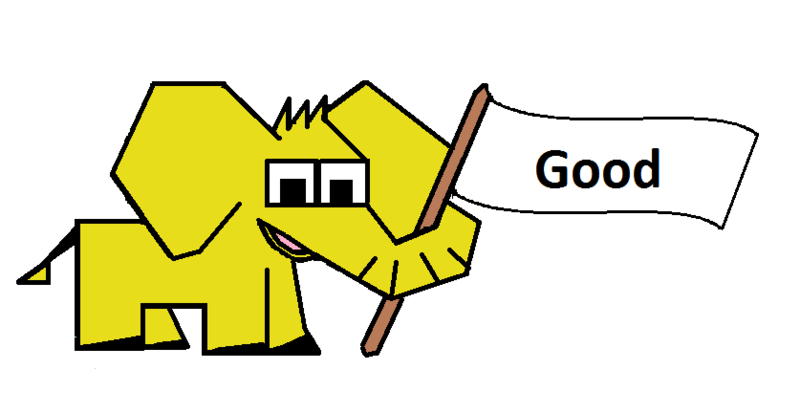 Its not the first and will not be the last game, which is made on that principle. 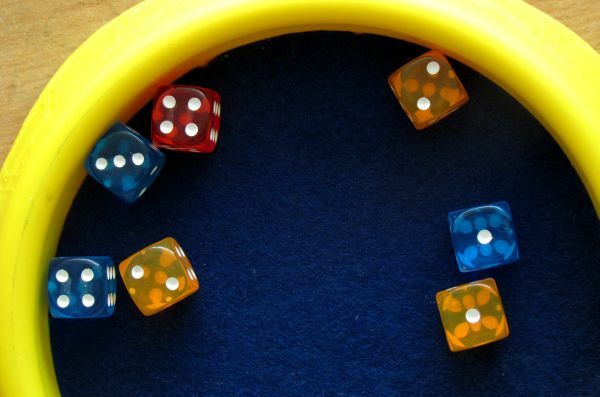 But besides dice rolling, there are few minor enhancements, which push aside that hated luck. All players pick dice from a common pool, which is determined on start of each round. 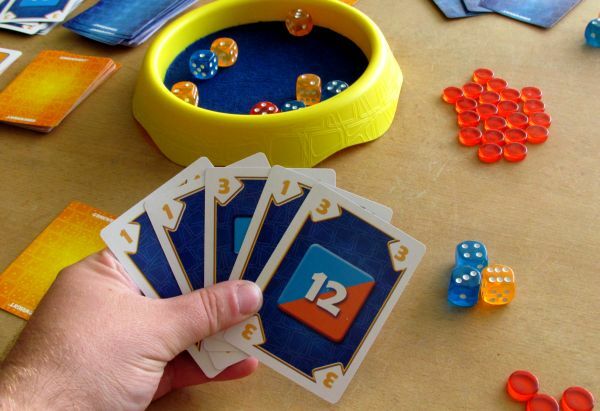 Every player can pick one dice during his turn and then next player gets his chance, until all players are satisfied or there is no dice left. Using pips on them, players are trying to accomplish their secret tasks. They can also harm others using action cards. The whole gameplay is dynamic, quick and entertaining. Precisely this dice picking and negative points on end of each round for every wasted (unused) dice forces players to plan precisely. Each task is has different point value according to its difficulty and its only up to players, which ones from their hand will they choose and try to accomplish. Také It or Leave It is a game, which is perfectly suitable for families and its great abreaction, which is not completely thoughtless.